petition: Now Japan Wants to Legalize Commercial Whaling! Now Japan Wants to Legalize Commercial Whaling! "There couldn't be a better opportunity" — that's how one Japanese government official replied when asked about the prospects of legalizing and expanding whale hunting. The Japanese government hopes to weaken the current ban on commercial whaling as they chair this year's International Whaling Commission (IWC) going on now until the September 14 in Florianopolis, Brazil. But as you know, Japan doesn't need to weaken the commercial whaling ban to hunt whales, because even though the ban has been in place since 1986, the country has continually ignored it. In fact, Japan has fictitiously given themselves the authority to grant their whalers "waivers" that have allowed them to continue slaughtering whales in the name of "science." Earlier this year, several news outlets revealed that Japan had killed more than 333 minke whales in the Southern Ocean already in 2018. 120 of them were pregnant females. If that wasn't outrageous enough, new information from the World Wildlife Fund suggests that 50 of the whales murdered in the Antarctic were taken inside of a marine refuge established specifically to help marine wildlife like whales, seals and penguins thrive. Now, Japan wants to be granted permission to kill more whales on an even wider scale. Further endangering these species and paying no price for flouting the law. Japan and other whaling countries like Norway and Iceland have together killed nearly 40,000 whales since 1986. If the IWC decides to grant them more leeway to hunt more whales imagine the damage they could do. Stand up and tell the IWC that people from all around the world want them to continue to protect whales from commercial hunting. 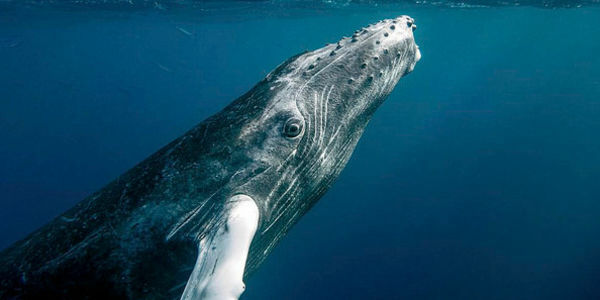 Sign the petition and demand that the IWC deny Japan's request to expand whaling rights.